I must admit around 7:00 A.M. this morning I was being quite a brat! Complaining about the ‘lack’ of money to do some things I want to do. Then my flight arrangements became more hassle than it was worth. The low budget airplane company wouldn’t let me cancel my flight even with trip insurance, I bought from them! I was on a rampage! I was about to lose money and that makes me mad! I proceeded to my ‘complimentary’ breakfast in our hotel and continued to express my bitchy attitude with one of my favorite servers. The outside eating area was a bit chilly so I nestled in a corner seat, with a big cushion to prop behind my lumbar. As I ate my delightful breakfast full of all the ‘fixins’ I glanced up at the television to see what Trump or some other politician had to say today. I read 8 DEAD, School Shooting…again and again, it scrolled across the bottom of the screen. There were people all around me talking and laughing, some were even telling, what they were reading on the television, out loud to someone on a cell phone! The room began to spin. Was I having a sugar attack? Was I being silly? My next emotion overwhelmed me as one tear fell on my plate, another, and then yet another. Within minutes it seemed to be a flood of tears. Drip, Drip, Drop, Drop, they bounced off my plate. I know it is wrong to judge others, but as I sobbed and sobbed, for a fleeting moment, I wondered why I was the only one who was sobbing over the report of Eight Dead, School Shooting. But in reality, this has become American’s reality. Are we becoming cold to the Headlines? It would be simple to do…as much negativity is reported on a daily basis. I rapidly began to read the sub-titles to ensure they had captured the shooter. No report! Come on at least let us know it is stopped. Still nothing! It didn’t matter anyway…we lost 8 more and at least 1 shooter which makes it nine too many. Where do we go from here? People around the world, citizens of the U.S. all citizens…Where do we go from here? We must find a way to begin focusing on the good in others and ourselves. Why can’t you be celebrated for your goodness? We all have it, we just don’t all recognize it. My heart hurts for the entire student body, faculty, and families who have had to endure such a terrible tragedy. Please know that my mission is to spread the awesome possibilities of mental healthy vs. mental filthy. I am unsure of the entire big picture of how I or my company can accomplish what we have set forth before us. However, each time I feel like giving up, throwing in the towel, and getting what others say is a ‘real’ job…something drastic such as this happens. AND at that very MOMENT…I am reminded! Why I started this company, what were my thoughts and visions? What was at least 1 end in mind that I might have had? If you do nothing else to assist us in our mission do me one favor…find a child of any age and tell him or her something good you see in them. Anything! If you are a parent struggling with an out of control child…listen to your vocabulary. Have you said anything nice to this child who continues to cause you grief? Or are your words always referring back to the many yesterdays of negative emotions he or she created? If you are so hurt that you find yourself going back down the dirt road of despair…pause and appreciate that you still have your child to be frustrated with. Recognize how much you do appreciate and admire about them and tell them. Please, we all need each other. We need to know that taking someone else’s life isn’t going to make them feel better. Nor is hurting someone else. We must educate our youth how precious they each mean to our future. How important their opinion, creative ideas, and sense of improvement is to our future societies? My theory is if I am happy, you, you, you, and EVEN YOU…are happy we have a bright little corner when we stand together. Then you add ten more happy ones with your infectious HAPPY thoughts then we now have forty or more Happies…standing together. Can you see how illuminated this becomes? Come Along with me on the Happy Trail! Tell ONE Person today a happy thought. Then try it again but add two more tomorrow. It becomes fun and before long our silly issues like…our son not continuing with college or our daughter didn’t get the highest honorary award. Or your teenager gets pregnant, fails a class, is disrespectful whatever may be going on today will not feel as painful tomorrow. We are sending you great love! All of you! To our Texas friends, we are sending the greatest love filled with as many happy thoughts as we can find. Through our struggles we find determination…Teena Drake. If you need a little extra help coping with those ‘valleys’ in life email us Livelove.teena@gmail.com Our promise is to find you the best life coach to assist you in finding a better you. Follow me for more inspirational quotes or posts. This entry was posted in adventure, anxiety, communication, depression, Education, Fear, grief, guilt, Happiness, healing, Life (Happy) Coaching, Love, marketing, meditate, Motivational Speakers, parenting, Suicide, teachers and tagged behappy, death, depression, Fun, Happiness, Happycoaching, letgo, lifecoaching, Love, schools, shootings on May 18, 2018 by teenadrake. Geez, Even God is not as hard on you…as YOU ARE! 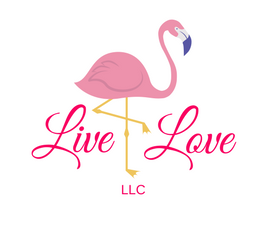 As Livelove LLC evolves and grows by leaps and bounds my circle of people continues to grow like wild flowers! Yesterday, I left the house at 1:00 in the afternoon and returned around 9:30 in the evening. My day was filled with beautfiul people, some I was collaborating with, others coaching and wrapped up the day with learning more about my Earylybird Toastmasters family. To say the least it was magnificent! I felt blessed beyond belief. As I laid my head down to relax, my mind raced as if I were in the Indy 500. Comments, conversations, scenarios, and questions raced around and around chasing one another. Then it suddenly stopped! Similar to a dime spinning and wobbling, only to have a hand smack it…SPLAT! The dime lays still, waiting for someone to pick it up and begin again. Why do we continually beat the same old drum? With the same repeat pattern? What can you change about yesterday? My friend, you can change nothing about yesterday! The only thing you can do with yesterday is regurgitate it over and over in your mind or with others. However, it can never be ‘fixed’ or altered. The past is where it is for a reason. Instead, try implementing these little thoughts to help you adjust, readjust, and begin focusing on creating tomorrow’s memories by making today magnificent. For the past has already come and went. Tomorrow may never come. Leaving TODAY, is all you have to play. Enjoy! Need a little extra help jumping some hurdles in your life? We have a multitude of resources and would love to help you find your ‘Happy’ Spot today and beyond! Also don’t forget to send me a message, Facebook post or email if you are ready for your copy of Happy Coaching 101! I plan to have it published asap. Completing the finishing touches this weekend and my goal is May to have it ready! Written by: Teena Drake Nickname- Sunshine! This entry was posted in adventure, Business, communication, Energy, Fear, friends, Happiness, healing, Life (Happy) Coaching, Toastmasters and tagged changeyourfocus, enjoy, future, games, letitgo, life, lifecoaching, lifelessons, past, play, present on April 27, 2018 by teenadrake.